Today I have opted to present to you what I consider to be my own personal top ten musical talents. I have a sneaking suspicion that you will be quite surprised by some of my choices; others not so much. I hope that as you browse through today's blog entry and read some of the reasons behind my choices that you will be influenced to listen to an artist you had previously never heard before. For this reason I will provide you with some links to songs by each artist that I hope will encourage you to explore them further. Without further delay, here are my Top Ten Musical Artists/Groups. 10. Eminem - Here is an artist that, if anything, has provided a large amount of controversy over the length of his career. Since exploding onto the scene with his debut single, My Name Is, Eminem, or Marshal Mathers III, has continued to release album after album. Each album providing several singles that topped the charts. Why do I like Eminem? He is honest. Behind the obscene and foul language; hidden in the metaphors and twisted language are many truths; if you are willing to listen instead of just hear. In many songs his lyrics touch upon some of the more important sociopolitical troubles we have faced over the last 15 years. The other is his extreme love for his daughter. When he sings a song that is to her, you can really tell it is to her (Haley's Song). Here are a few more links to songs you may want to try listening to: Stan, Love The Way You Lie & The Way I Am. 9. Janis Joplin - Janis Joplin was way ahead of her time; so to speak. Janis Joplin came into the music scene during a time when folk music and country music were evolving into Rock & Roll. Her music touched the hearts and souls of anyone who heard them. What I like about Janis was her lack of concern for what the world thought of her. She did not concede to the 'norms' or her time and never permitted others to drag her down for being herself. Janis Joplin set the stage for many of the female artists that would rise up over the next few decades. I have included two links for you to begin your journey in the world of Janis Joplin; you may even recognize one from a more recent rendition: Piece of my Heart & Me and Bobby McGee. 8. 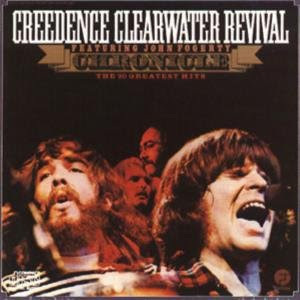 Creedence Clearwater Revival - CCR is by far one of the all time most recognizable bands to have ever recorded. 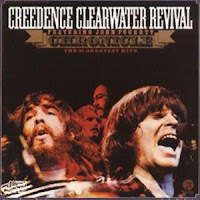 You would be hard-pressed to find a band that is as well-known as CCR. John Fogherty's voice is such a unique and identifiable sound that it actually came to legally be recognized as the 'sound of CCR'. We won't get into the discussion of the legal battle between the band and their former lead singer; we will just say that in the end, Fogherty nearly lost the right to his own voice. Please enjoy some of these amazing tracks on your journey of discovery: Bad Moon A Rising, Fortunate Son, Lodi & I Heard It Through The Grapevine. 7. Celine Dion - Now I can already visualize some of you getting ready to close the browser now that you've made it this far but hear me out. Try to get past some of the negative associations to this one of a kind musical talent. It is quite safe to say that Celine possesses one of the most famous voices of all time. Her ability to reach and hold notes that others can only dream of attaining is but one of her many talents. With such a beautiful voice combined with some of the greatest love ballads ever written, Celine's music has found a special place within my heart. I hope you will take some time to really check out some of her music: I Drove All Night, Water From The Moon and It's All Coming Back. 6. 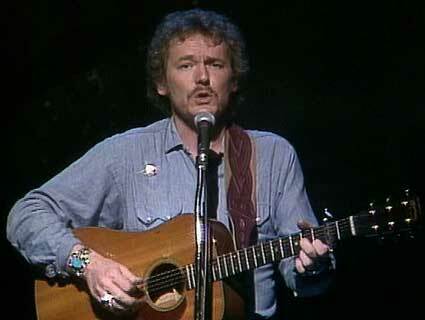 Gordon Lightfoot - This artist was a somewhat difficult choice. One of my favourite styles of music is Folk music and Gordon is one of the great Canadian folk singers ever. Why so hard? Because of all the other great Canadian folk singers I had to omit from this list. In the end, Gordon Lightfoot was the obvious choice over the others as his music has had a greater impact on my life than the others. I strongly urge you to give his music a try; you will not be disappointed. Here are some of my favorites: Sundown, Wreck of the Edmund Fitzgerald, If You Could Read My Mind and Carefree Highway. 5. Nirvana - If you are from my generation, or even the one just before or after, then this entry needs no real explanation. Kurt Cobain and Nirvana not only changed the face of music forever more, they also created an entirely new genre of music: Grunge. Nirvana laid down the foundation for an entire generation of up and coming bands and musicians who might not of otherwise been given the opportunity to shine. Nirvana is a classic example of musical talent changing the the way we look at music. I will do my best to limit the number of song links as there are so many worth hearing: Smells Like Teen Spirit, Serve the Servants, Heart-Shaped Box and About A Girl. 4. The Rolling Stones - There is no other band that has withstood the test of time more than The Rolling Stones. They are the epitome of rock. Beginning just prior to 1950, The Rolling Stones have endured over six decades of success; pumping out album after album full of classic, memorable and meaningful tracks. It would be very difficult to find people who do not know the Rolling Stones or even Mick Jaggar or Keith Richards for they are as renowned as the Stones themselves. Please enjoy some of these great Rolling Stones tracks: Ruby Tuesday, Sympathy for the Devil, Paint It Black and Wild Horses. 3. Michael Jackson - What can I say about the King of Pop that has not already been said? Michael Jackson revolutionized the way music is recorded, the way music is presented and the way we look the at artist. One quick fact about his contribution is that he was the first to dub his own voice back into his own music. Every time you hear a new artist singing and hear their voice also in the background; that was Michael. For consistency, because I am sure you all know Michael, I will provide some links to my favorite songs: Will You Be There, Man in the Mirror and of course Billie Jean. 2. Johnny Cash - Johnny Cash. This man has influenced my life through his music and through his own life story so much that I cannot possibly begin to explain or express it here. By now, most of us have seen Walk The Line, the movie which told his story and know who he is. Cash was a man of the people in that people saw him as a person, not necessarily a rock star. Throughout his career, Cash sang and supported the working class people, the downtrodden, the poor, the discriminated, anyone and everyone who he saw as suffering in some way. His greatness extends far beyond his musical career and into something much different. Johnny Cash touched and continues to touch the hearts of millions of people around the world. His music, like the legend himself, will live on in history. 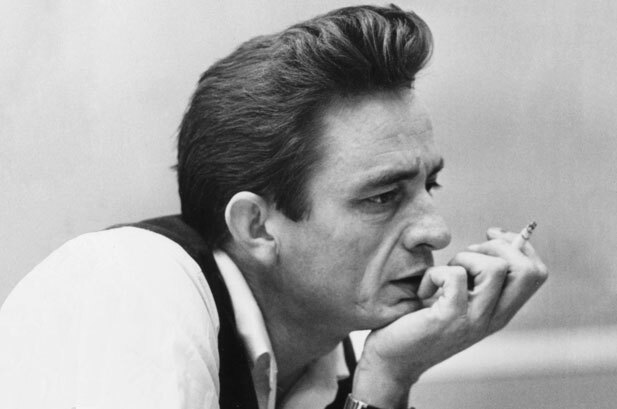 Please enjoy these selected recordings: Walk The Line, Folsom Prison Blues, Ring of Fire and Man in Black. Now on to number one. Originally I had a hard time deciding between Johnny Cash and the last on this list but as I will explain, I opted for him as first. 1. Bob Dylan - Now I know what you may be thinking: He is the worst singer in the world! His voice is terrible! My response to this? I agree...somewhat. Bob Dylan's voice, as terrible as it may sound, is part of his charm, his individuality, his uniqueness. I personally love his voice. However, his voice has little to do with my choice. Bob Dylan is the single greatest songwriter ever. Period. His lyrical genius has created number one hit after number one hit; unfortunately never as recorded by him. His contribution to the evolution of music, especially the use of the electric guitar, is unparalleled. Bob Dylan has influenced more artists in more ways, I believe, than any other superstar of the music industry has ever been capable of doing; yes, even more so than Michael Jackson. Bob Dylan is perhaps one of the most underrated musicians and lyricists I have ever come across. I encourage you to take some time to see all that he has done; all those he has influenced; all the great songs and lyrics he has produced; you might find yourself surprised. And with that, I leave you with some of my personal favorite's by my number one choice in my Top Ten List of Musical Talent: Knocking on Heaven's Door, You Belong to Me, Forever Young, Stuck in the Middle With You and Hurricane. I hope you will find something new here that will tickle your fancy. There are so many talented and amazing musical talents that have come and gone that it is somewhat of an injustice to simply pick ten and put them in a list. I have done my best to share with you musical talents that have impacted not just myself, but the music industry itself in some way. The beautiful thing about music is that it speaks; what it says may be different to you then me but the influence music has is equal to us both.